Consumers without access to group coverage would get age-based refundable tax credits. (Bloomberg Politics) — Republican presidential candidate Scott Walker stitched together a series of popular conservative health care ideas in his newly unveiled Patient Protection and Affordable Care Act (PPACA) replacement plan on Tuesday, seeking to fulfill a goal that has eluded congressional Republicans for more than five years. “On my first day as President, I will send legislation to the Congress that will repeal Obamacare entirely and replace it in a way that puts patients and their families back in charge of their health care—not the federal government,” the Wisconsin governor planned to say in a speech at a machine parts company near Minneapolis, according to prepared text. 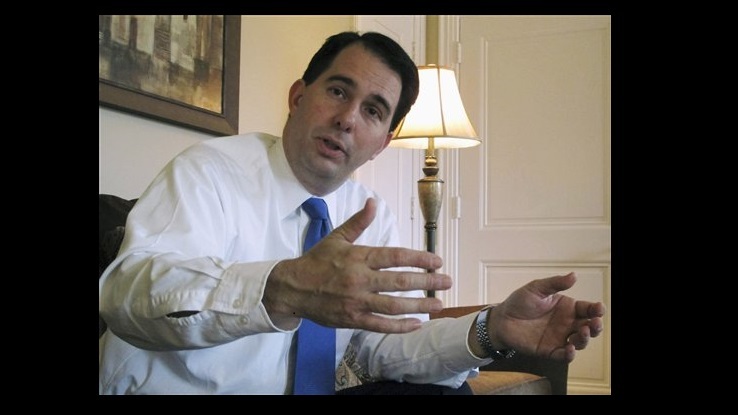 If Walker’s rhetoric is familiar, so are his policies. His “Day One Patient Freedom Plan” aims to fulfill a longstanding Republican goal by returning to the pre-PPACA status quo of 2010, when the current national uninsured rate of 9.2 percent was higher than 16 percent. Though Walker provides more details than his chief Republican rivals, he’s notably light on how he would cover the high cost of his proposals. A centerpiece of his plan is to provide age-based refundable tax credits for people who lack employer-provided coverage. “Walker emphasizes a state-focused, outside of Washington approach; in keeping with the perspective of a Midwestern Republican governor. His plan fits within the established territory of previous proposals like the ones by [Georgia Rep.] Tom Price,” said Tom Miller, a health policy expert at the conservative American Enterprise Institute. One of the most far-reaching pieces of Walker’s proposal is to let health insurers sell plans across state lines, which is currently prohibited in order to let each state establish its own rules. While this idea is backed by conservatives as a way to encourage competition, critics fear it would motivate insurers to migrate to the states with the least regulations and sell the more bare-bones policies across the country. “If you allow the sale of insurance across state lines with no minimum federal rules, insurers would gravitate to states with little regulation,” said Larry Levitt, a health policy expert with the nonpartisan Kaiser Family Foundation. Walker’s plan includes less robust protections for people with preexisting conditions than PPACA; rather than force insurers to accept everyone, he proposes to protect people who maintain continuous coverage while they switch between policies. He also proposes state-based high-risk pools, saying his plan “would make it easier for states to expand” them. Many states already have high-risk pools, but they haven’t worked well because, due to the fact that they cover many poor and sick people, they have high costs and are generally underfunded, experts say. Federal dollars would help, but the Republican-led House hasn’t shown interest in spending much money on the idea. The plan also turns over Medicaid, a joint federal-state program to provide insurance for low-income Americans, to the states, with limits on federal funding. House Republicans have proposed a similar concept in their budgets as a way to save money and encourage innovation at the state level, but progressives strongly oppose it and argue that it would “dramatically cut Medicaid coverage,” as Jost put it. Walker’s plan also calls for reforming medical malpractice laws and encouraging health savings accounts (HSAs), by raising the limit on tax-free contributions to $6,250 to individuals (and twice that for families). Levitt pointed to a central problem with Walker’s plan: the cost. Functioning high-risk pools are very expensive, as are his proposed tax credits. That’s a tall order for a plan that eliminates the $1 trillion in largely upper-income taxes imposed by PPACA, and in a Congress run by anti-spending Republicans. Notably, Walker’s plan does not suggest any changes to Medicare. The popularity of Walker’s health care ideas with the right may boost his fortunes in the Republican primary, where he has been sinking in the polls. It’s also unclear if his policies would make it through a Republican Congress, which has not attempted to pass a PPACA replacement yet. Still, he insisted in his Tuesday speech he’d get the job done.